For a long time I wanted to return to my first Love, vinyl playback, and at the same time I wanted to immerse myself into a new electronic project where I can re-acquaint myself with PCB construction. 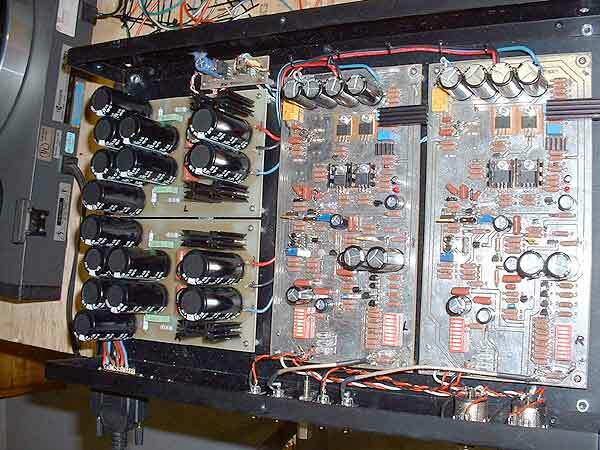 Searching on the web and into my favorite audio forum, DIYaudio, I decided in august 2003 to build my own Aleph Ono. I already built a nice Aleph30 and really like the PassLabs sound, so the Ono was a natural choice for me. The newest XONO received excellent reviews, so I also decided to upgrade to the more sophisticated approach of the XONO with fully dual mono supplies and separate preamp enclosures. Since I was not really an expert at the time on PCB design, I choose the base design of a DIYaudio member, Ed Robinson. His design was excellent with extensive ground plane, double layers, star ground, short signal path, etc. It includes a fully DC coupled modification to remove the MM section coupling caps. His project also already included a nice parts list to help order all the parts. 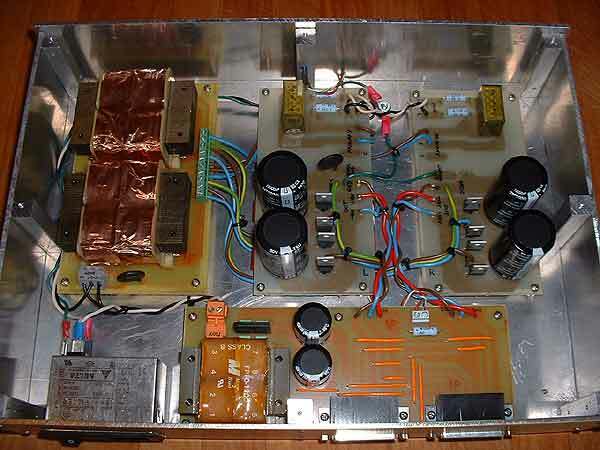 Ed’s design includes separate pre-regulator, regulator and preamp PCB. To reduce supply noise as possible, I decided to mount the pre-regulator, and the power transformers into the supply enclosure. Then using a standard DB-25 cable (like PassLabs supply), I transfer the DC only into the preamp enclosure. There the regulators PCB supply the preamp PCB with clean and hi-current dc voltages. I included some of my own design to complete the separate supply, a transformer PCB and what I called a connectors PCB to mount the DB25 connectors, feed all the supply voltages. It includes a digital supply for an upcoming PassLabs X-Preamp that I what to use with the same power supply. Everything in this preamplifier has been homemade, except the nice preamp enclosure that was professionally made. 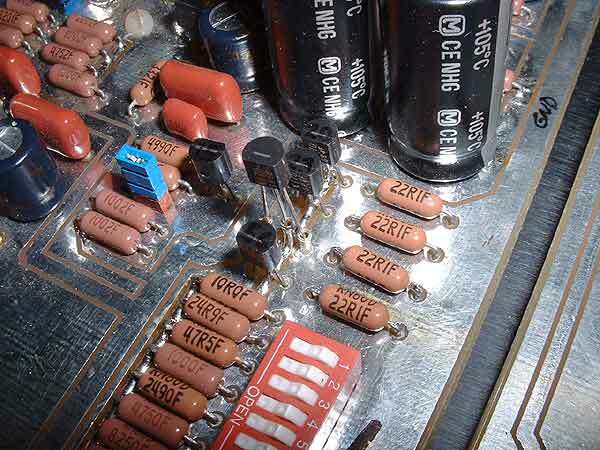 Components quality is very good, using RN60D resistors, RTE and film caps, etc. I was not prepared for the complexity of this fully analog project. I learned a lot: making PCB, matching FET, choosing FET type, finding supplier of difficult to obtain parts, selecting LED’s for the correct voltage. It was a lot of work but very rewarding at the end. This is the best phono preamp I ever listen too. You hear details that you ignored were there. The timing is perfect and the noise floor is so low it is almost silence. Clean, precise and full of dynamic, it leaves the CD sound in the dust. I would like to thank Nelson Pass, Wayne Colburn for sharing their great design and helping us to get closer to the real music.